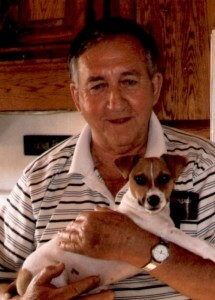 David Honaker Jr., 89, of South Shore, passed away Wednesday, March 13, 2019, at Riverside Methodist Hospital in Columbus, Ohio. He was born at Firebrick May 4, 1929, a son of the late David W. Honaker Sr. and Lula Meenach. David was retired from N&W Railroad and was a US Army veteran of the Korean War. Survivors include his wife Ethel Anderson Honaker; three daughters Kathy (Rusty) Dillow of Garrison, Mary (Kenny) Bailey and Cindy (Craig) Ingles both of Columbus, Ohio; one son Andy (Brenda) Gerlach of Lucasville, Ohio; a niece Debbie Sauers Davis of Huntington, Tennessee; eight grandchildren; 11 great-grandchildren and several other family and friends who will sadly miss him. Along with his parents, he was preceded in death by three sisters, Alberta Honaker, Genieve Wells and Evelyn Sauers. Services will be at 2:00 p.m. Sunday, March 17, 2019, at Roberson Funeral Home in South Shore with Bro. Tim Underwood officiating. Burial will follow in Greene Cemetery in St Paul. Friends may call at Roberson Funeral Home Saturday, March 16, 2019, from 6:00 p.m. until 8:00 p.m. and one hour prior to services Sunday. Pallbearers will be Kenny Bailey, Jimmy Bailey, Kyle Bailey, Rusty Dillow, Ryan Dillow and Joe Dillow. Winnie Lowder will serve as an honorary pallbearer. Military graveside rites will be accorded by Monte Lewis Stamm VFW Post 5438.